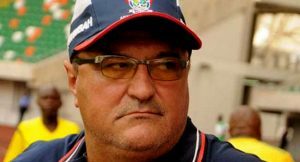 FC Ifeanyi Ubah’s Coach, Mitko Dobrev, has lauded his team for emerging champions of the 2016 Federation Cup. Dobrev believes his side deserves the victory after edging out Nasarawa United in a penalty shootout in the final of Nigeria’s oldest club competition. FC Ifeanyi Ubah impressively converted all their kicks, while their goalkeeper Uche Okafor saved one from Nasarawa United on Sunday at the Teslim Balogun stadium in Lagos. The winners would represent Nigeria in the 2017 CAF Confederation Cup. On the flip side, Nasarawa United striker, Shammah Tanze, admits his teammates failed in their conquest to pick a continental ticket. He admitted that the northern Nigerian club’s failure to utilise their goal-scoring opportunities during regulation time was the reason for the loss. Tanze told Channels Television that the team would have to focus on finishing top in the coming season.